If you have any queries about the services we provide please do not hesitate to contact us. Some of the more frequently asked questions and their answers are provided below for your information. Unique Rings is a collection of some of the finest craftsmen Hatton Garden has to offer, each specialising in a particular aspect of creating the perfect ring. Betweens us we have over fifty years experience of ring design and manufacture. What is the process for having a ring made? The first step is to choose a design, whether you have your own design or would like to select from the vast range we offer, we will do everything possible to guide you through this process. We would be delighted to welcome you into our workshop in Hatton Garden where our craftsmen will discuss your rings with you. Alternatively if it is more convenient for you one of our craftsmen will visit you in your home or place of work. After you have chosen the design, our skilled jewellers will create the ring to your specifications. We will be happy to customise your ring with engravings, a special endearment or the date of the wedding perhaps. Once crafted we will invite you back to our workshop for a final fitting. This will allow us the opportunity to make any adjustments necessary so that you leave with a ring which is perfect for you. How long does it take to make a ring? The process from your initial consultation through to your final fitting normally takes three to four months. Obviously exact timings will be dependent on the design of the ring, the materials to be used etc. We always schedule your final fitting for a month before the wedding so that you can be safe in the knowledge that your rings will be ready in advance of your big day. What materials are you able to work in? We source all our precious metals and stones from trusted wholesalers who have been supplying us for many years. Due to the relationship we have built up with our suppliers we are able to pass on the significant discounts we receive to our clients without having to compromise on quality. All our diamonds are from non-conflict regions. Why do you not provide prices on your website? We pride ourselves on offering highly competitive prices and so price each ring individually according to our customers specifications. Prices will vary according to the current market price for the materials and the exact requirements for each ring. We are happy to work within any budget and so please contact us to discuss your needs. Why do you not take credit cards? We try to keep our costs to a minimum so that we can offer you the best price. Credit card companies can charge between 2-4% to process a transaction. At no extra cost, you can have engraving on the inside of your ring, a free engagement ring polish and free wedding ring polishing. Bring your rings to the workshop and we will polish them for free (available Monday to Friday). 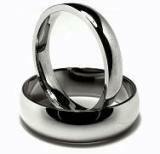 For just £10, you can have rhodium plating on both your engagement ring and your wedding ring. Details for contacting us can be found on the 'Contact Us' page of this website. Please note that there are separate contact details depending on whether you wish us to visit you at home or you would like to come into the workshop. Workshop visits are by appointment only. We offer a number of different discounts, only one discount can be applied to any purchase.